Julio Casero gave us a warm and heartfelt introduction to delegates in the Teatro Principal on the Thursday morning of the Congress and noted that we had mounted a crowdsourcing campaign to attend as visual artists. 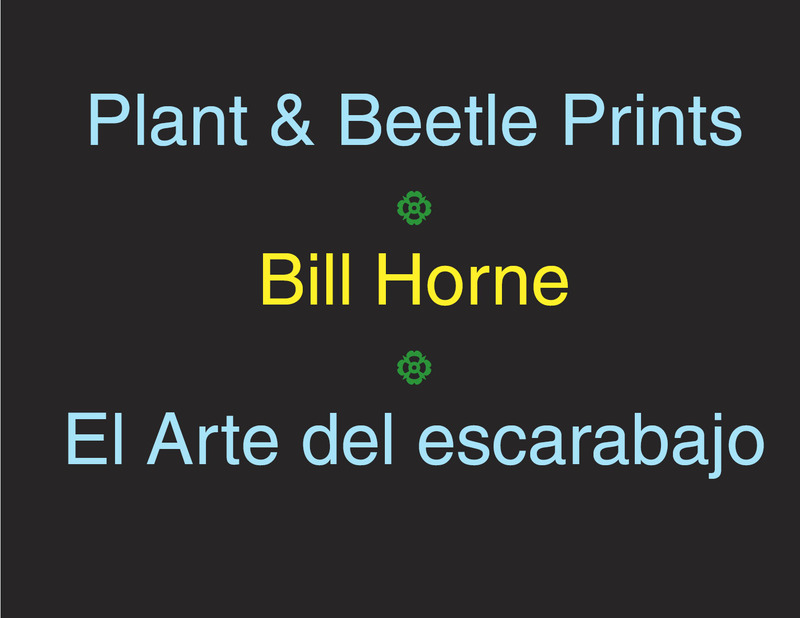 He also explained that we were donating my beetle gallery silkscreen prints and a selection of archival reproductions of Claire’s art to the University of Valladolid. 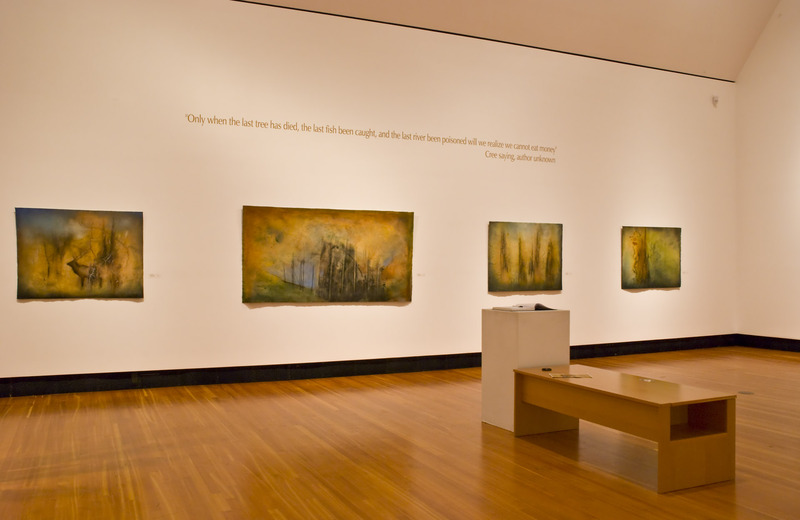 Since it has a Sustainable Forestry Institute, the UVa seems like a perfect place for our art to reside! 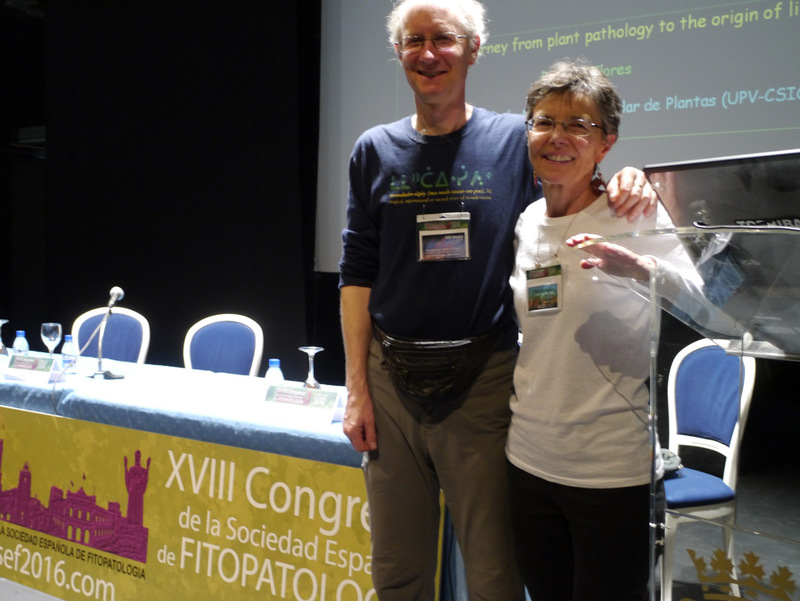 Bill and Claire at the Teatro Principal podium following their presentation; photo courtesy of Cristina Prieto. 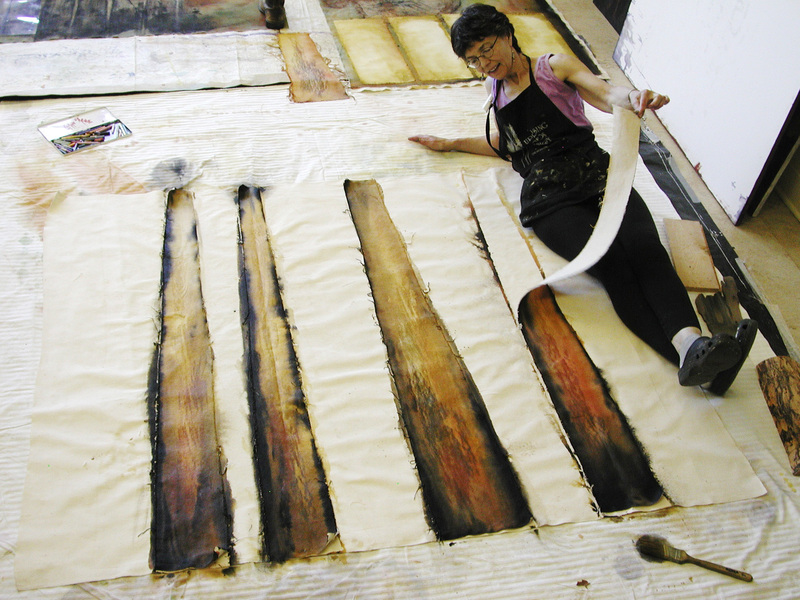 Photo of Claire in her studio by Annerose Georgeson. 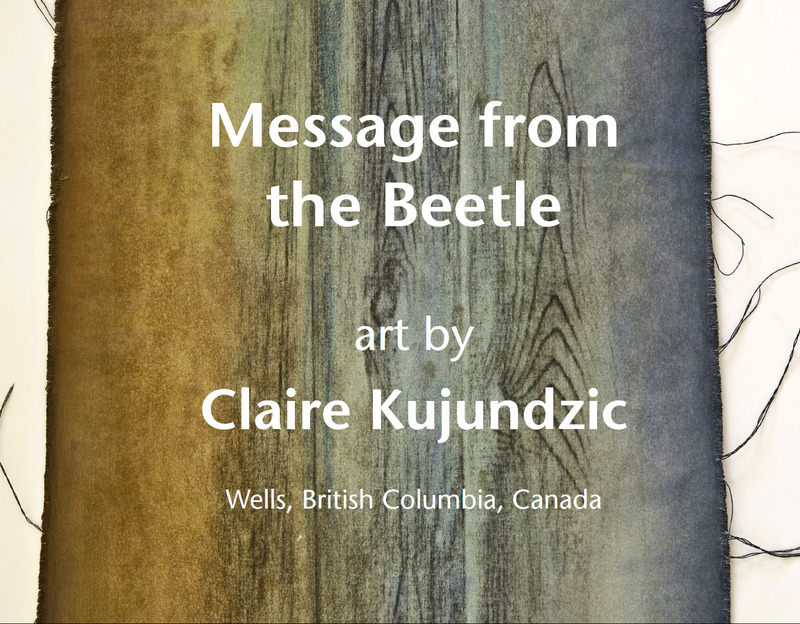 Claire’s first solo exhibition of her pine beetle based work at Two Rivers Gallery, Prince George, 2009. 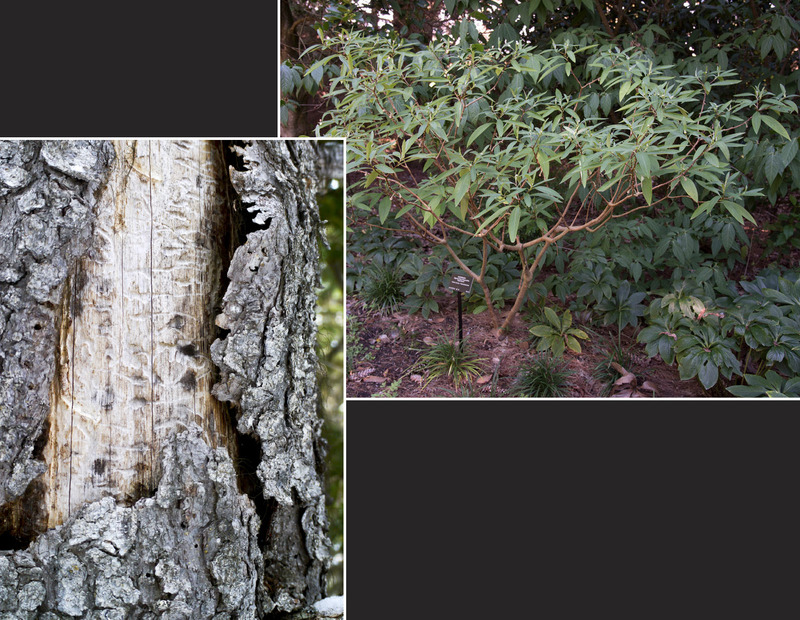 Dead standing Lodgepole pine on the left reveals beetle galleries below the bark; Edgeworthia “paperbush” at Vancouver’s Van Dusen Gardens (photo courtesy of Kathy Kinakin). 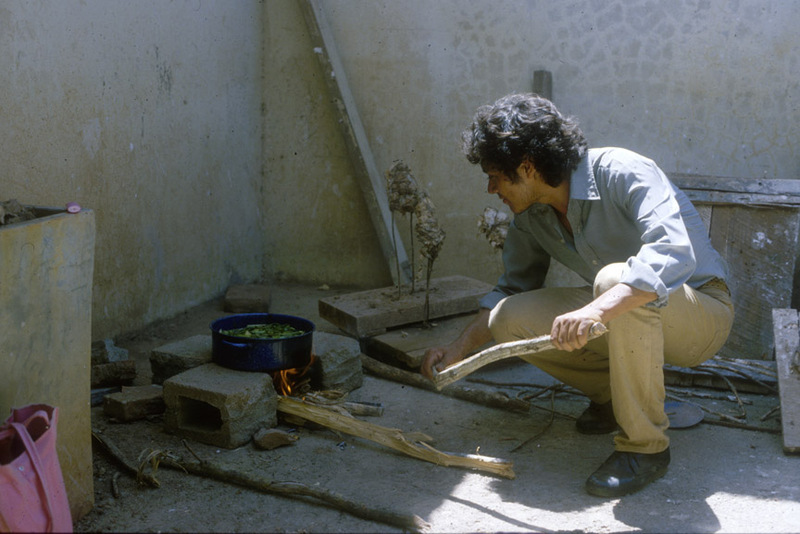 The late Nicaraguan artist, muralist and teacher, Boanerges Cerrato, making Espadillo paper with Bill at the Escuela Nacional de Artes Plásticas, Managua, 1986. Thanks again to Chris Harris and Annerose Georgeson for allowing us to use some of their photos. This entry was posted in España, SEF2016 and tagged environment, paintings, pine beetle art, plant papers, Spain, Travel. Bookmark the permalink.